Flat on the beachfront, built in the year 2,007. Fully equipped, has all kinds of appliances and air conditioning in every room. The building has several terraces with sea views. Very good nice clean flat. Our host was excellent and a lovely beach, also Rota(nicer beach) and Cadiz quite close. Handy shop and restaurants downstairs. This appartment was everything we could have wished for. Exceptionally clean, well equipped with everything you would need and with a very friendly and helpful owner. Situated in a quiet area with bars, shops and a beautiful beach just two minutes walk away. Excellent bus service right outside the appartment, handy for ferry to Cadiz or to train station. "The best thing about the place is its location - close to the fantastic beach. And it's combined with cleanliness, silence and comfort of the flat. 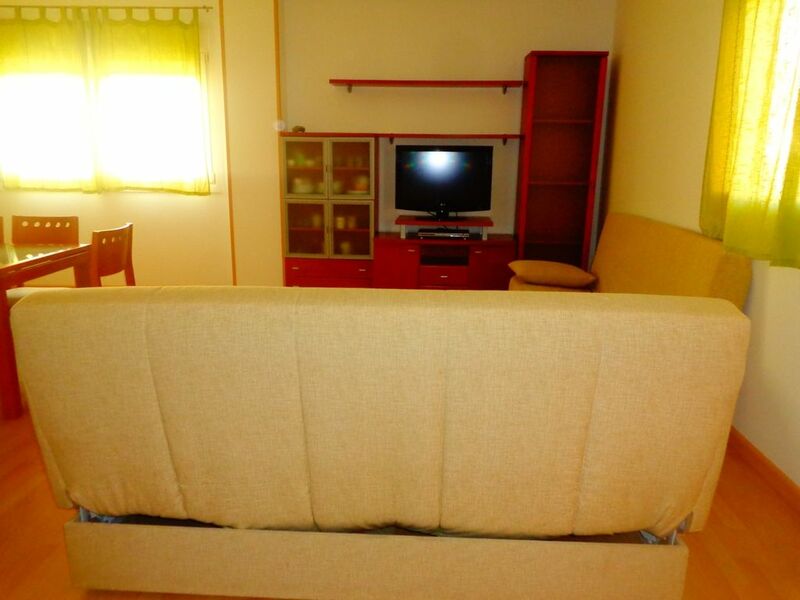 Apartment was fully equiped with everything someone would need to make his stay confortable and cosy. Furthermore it's full of all needed amenities: shops and bars are in the same building. Owners are very nice and friendly people, ready to help if needed." Tout près de la mer, appartement très propre et bien équipé. Le mini market en bas de l'immeuble est très pratique. Et le propriétaire, Manuel est très disponible (arrivée très tardive et départ matinal). Antonio y su familia son unas personas encantadoras. Han dejado el apartamento muy limpio y en perfecto estado. Ha sido un placer conocerlos, y por supuesto recomiendo a esta familia a cualquier propietario que quieran alquilarle su inmueble. Ha sido un pacer tratar con esta pareja. Han dejado todo en perfecto estado. Por supuesto recomiendo a Ana Miguel para cualquier propietario que quiera alquilarle su inmueble. In the urbanisation Las Redes of the city El Puerto de Santa Maria, 20 km from the airport in Jerez de la Frontera. At 20 meters, has restaurants, cafes, supermarket, as well as all kinds of services, without scrolling.